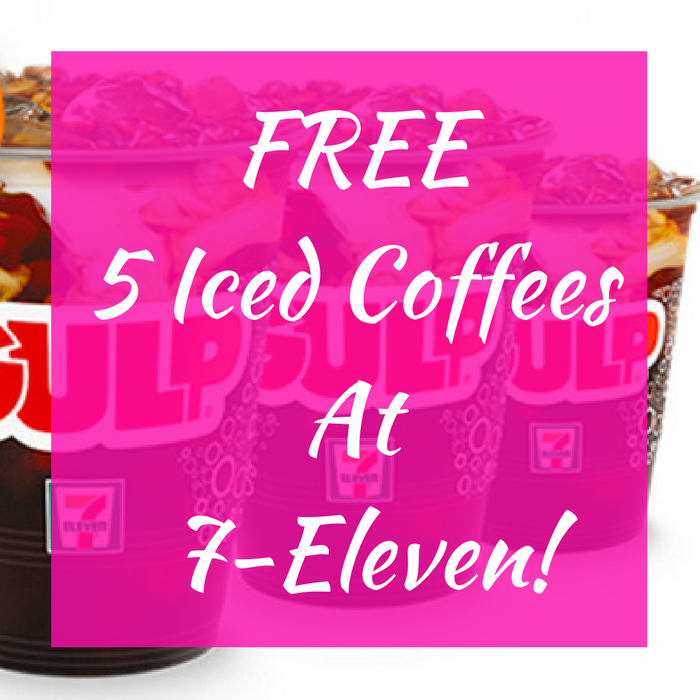 FREE 5 Iced Coffees At 7-Eleven! You are here: Home / FREEbies / FREE 5 Iced Coffees At 7-Eleven! Until August 6 only! Receive 5 coupons for FREE Gulp Sized Iced Coffees (valid until Aug 31) when you download the FREE 7-Eleven app and join the FREE Rewards Program! Just text EARN to 711711 to download the app. Such an awesome FREEbie!